Um… What should we write about today? I am a firm believer that those who would destroy nature should in turn be destroyed by nature. With this in mind I have made numerous planning applications to my local council for a pit full of dangerous animals. Regardless of the animal that I choose the application is always turned down on the grounds that there are not enough politicians and scientists in the area to make my plans sustainable. A male Lion eats a councillor every four days and Crocodiles are about the same, Gorillas don’t even eat people and snakes would get squashed by the falling politicians. Whilst I appreciate their concern for the animals I still find the whole process frustrating. So I applied to join The Toxic Jam Makers Society only to learn that there is no such thing and that really annoyed me because I had spent a lot of time designing a “Dodgy Jammers” logo that I had hoped would be adopted by the society once I was a full member. For this recipe you will need to find some Black Bryony, Dioscorea communis. 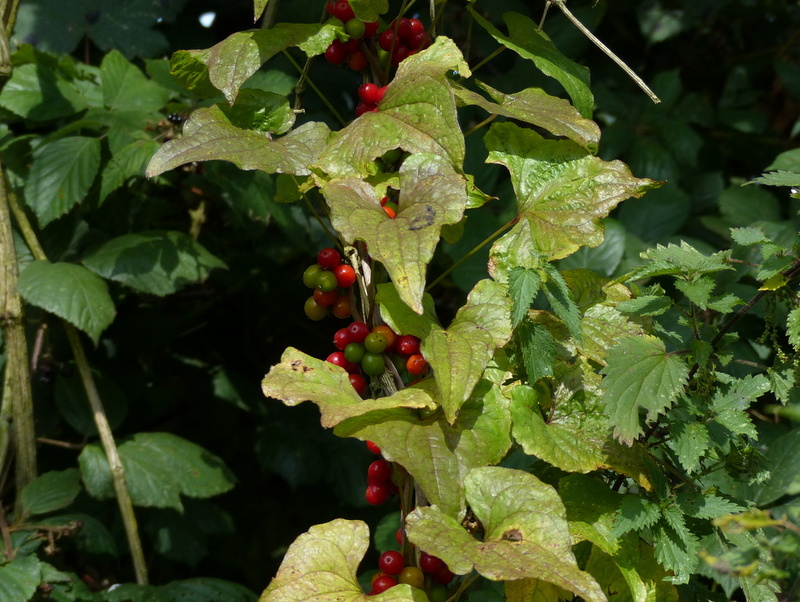 Other berries would work but Black Bryony has an abundance of fruit and it is highly toxic. 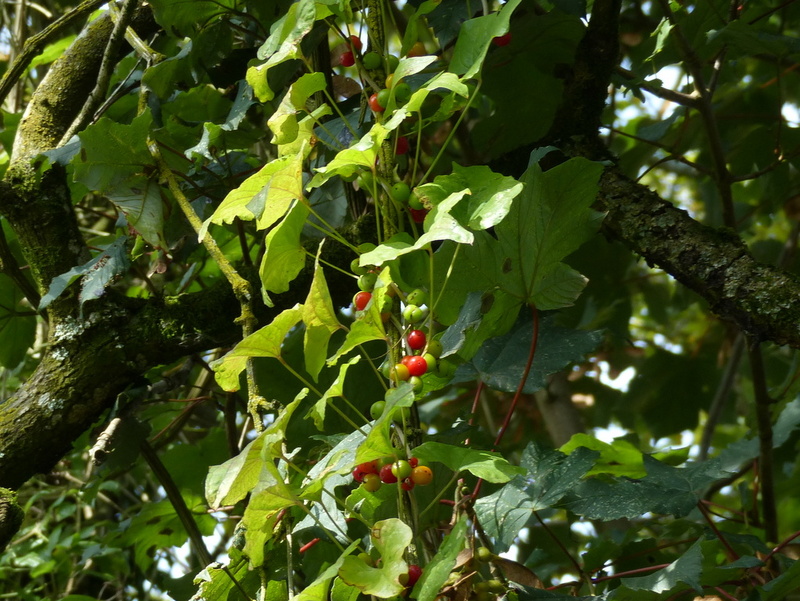 Black Bryony is a vine that scrambles though the hedgerow. It grows happily through Hawthorn, Rowan and Rose hips and so, if you were not a murderer, if you were a forager for instance then you would be well advised to get to know this one, so that you don’t pick it by mistake. 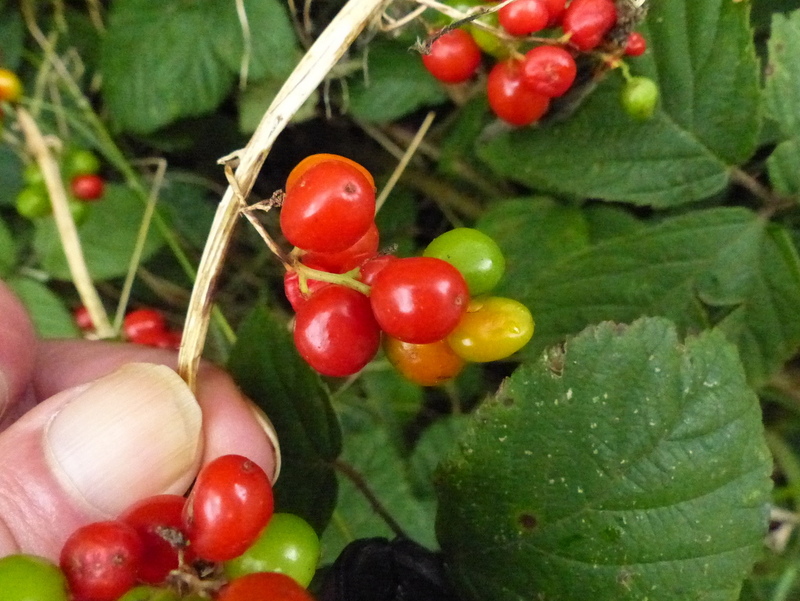 Not all of the red berries are good berries. 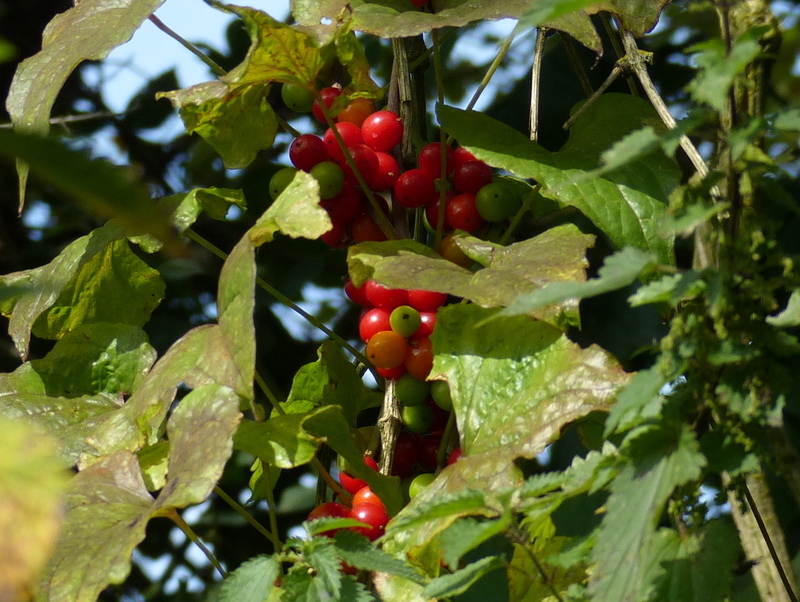 Those tell tale leaves will soon wither and fall off, leaving just the berries, nestling amongst your Hawthorn. 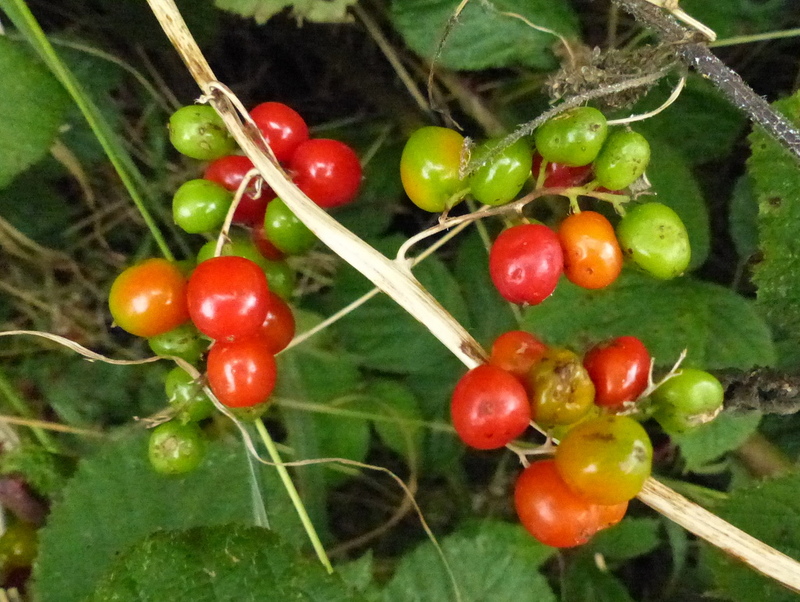 This one was nestling amongst Bramble and the berries don’t look much like Blackberries so no danger there then. 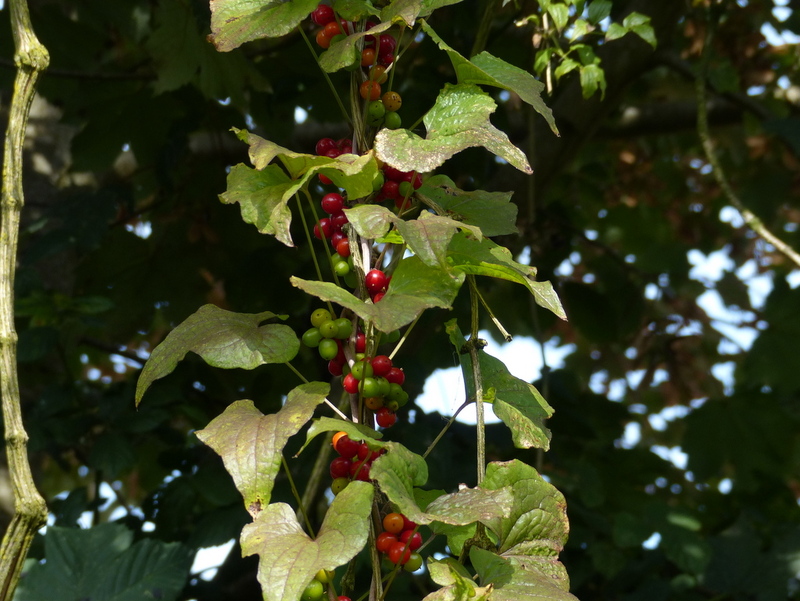 Black Bryony is a member of the Dioscoreaceae family, known as the Yam Family this is the only native “Yam” that we have in the UK. Firstly the flowers (I haven’t got the pictures yet). 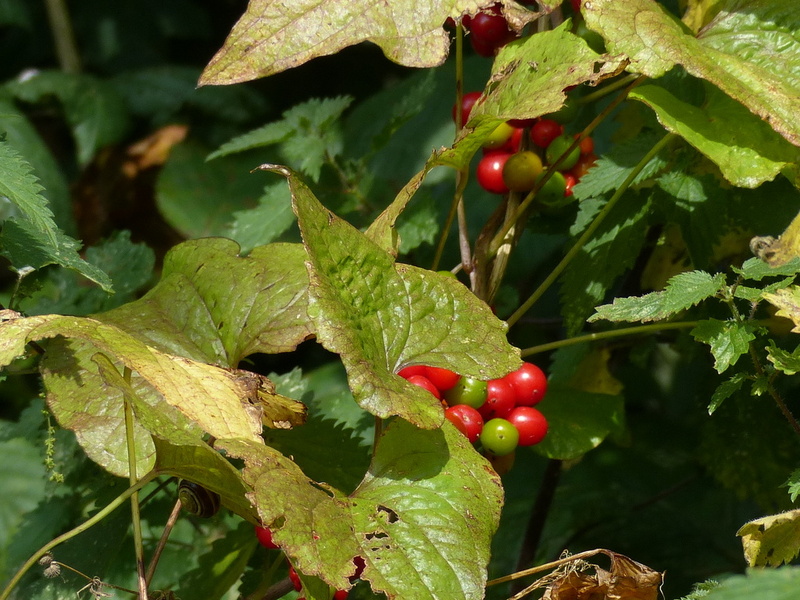 Back Bryony is a dioecious plant, meaning that there are separate male and female plants, with different flowers. 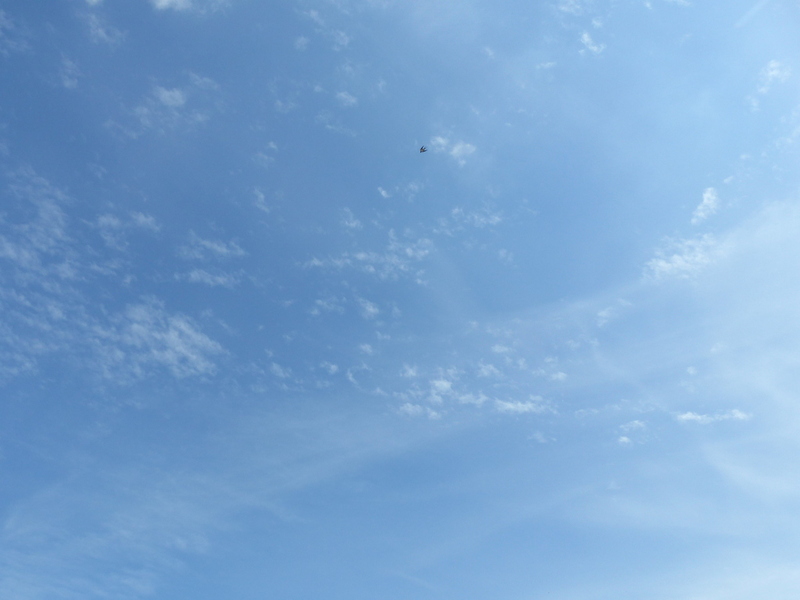 Both flowers are small and green, it is just the way that they cluster that is really different. I missed the flowers but I will get them next year. 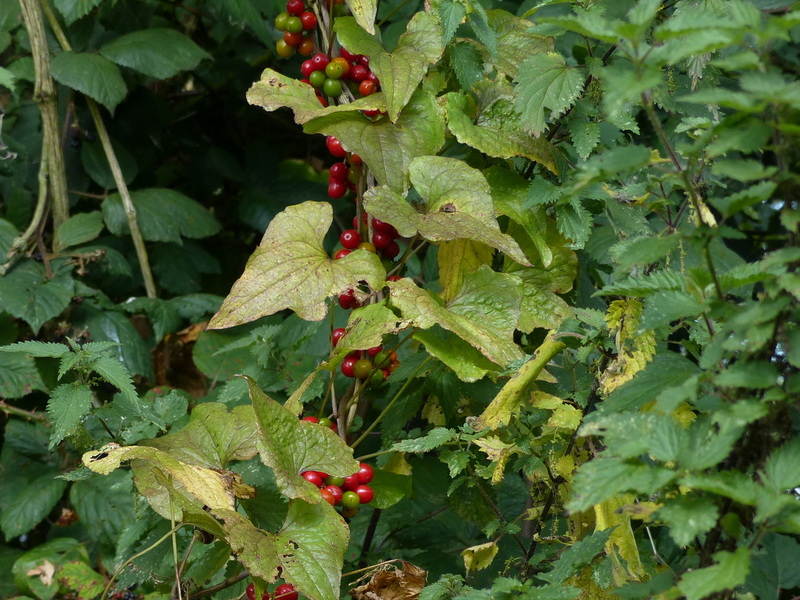 The other thing is that there is another unrelated vine with red berries that looks superficially similar called White Bryony and again I don’t have pictures yet. 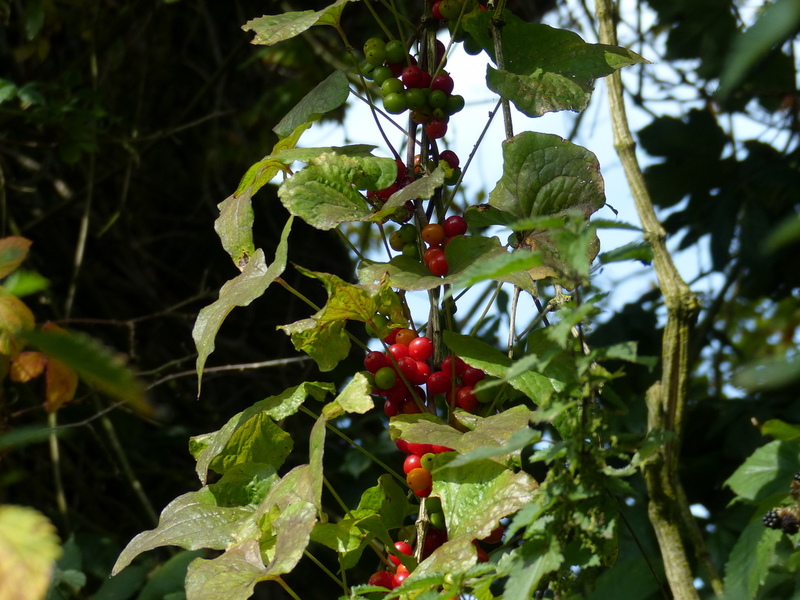 The biggest difference is that White Bryony has tendrils to help it to climb and Black Bryony doesn’t. Every part of the plant is poisonous. Leaves, stem and root. 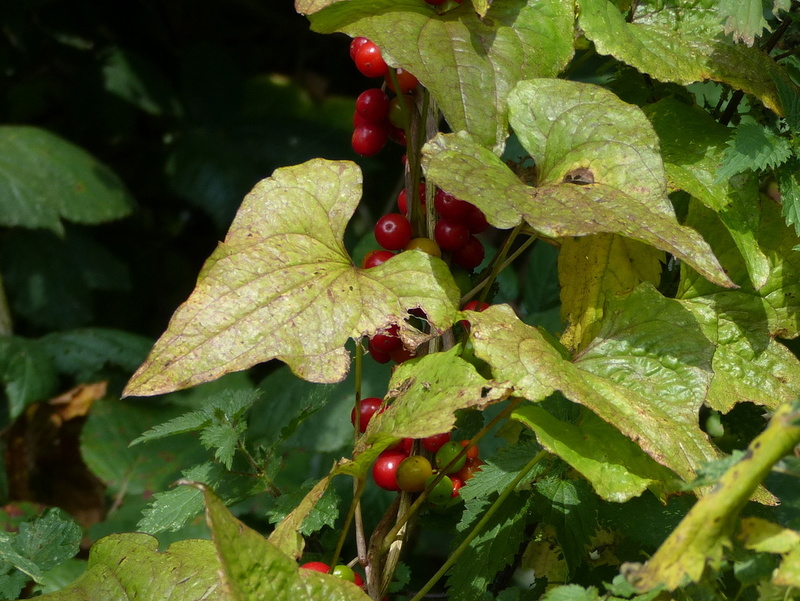 It contains the same poisons (Saponins) as you find in Wild Arum (Lords and Ladies, Cuckoo-pint) and has a similar painful blistering effect so beware and take care. It is a good idea to buy some ready made pastry and cut out the shape of a little Badger. Put that on top of your new pie and cut the words, “Hugs and Kisses” into the surrounding pastry. That ought to do it. Check your local paper to see when the Inhumane Society are holding their next Summer Fayre and take your pie along and Bob’s your Uncle. Disclaimer: You can get in trouble for doing this. 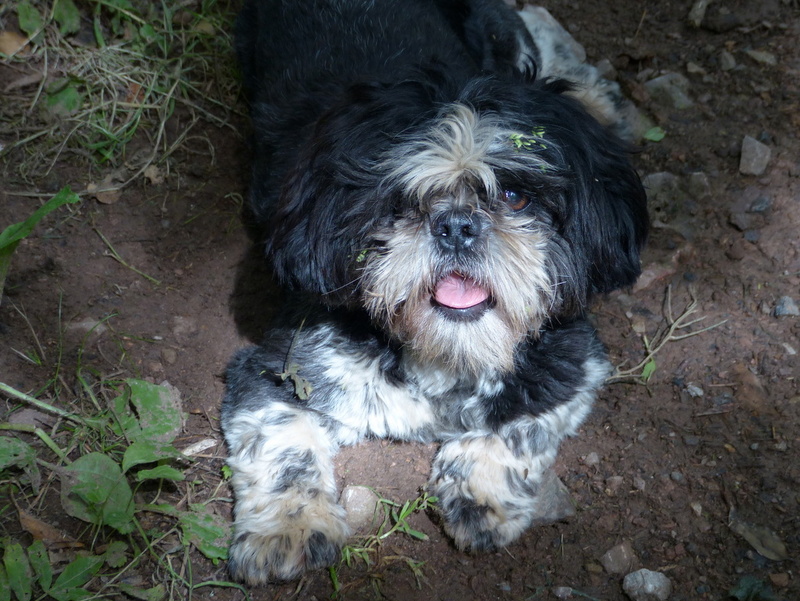 This is Black (Hearted) Bryony. oh my…tongue is planted firmly in cheek ain’t it??? Thanks for the heads up on this wicked plant. The berries are so pretty and enticing and the leaves attractive. I am always pleased to find it in the hedgerow. Hmm, yes. A risky business. How many berries would be fatal? Would someone be ok if they ate one by accident? Thanks Emily 🙂 I don’t have figures for this one. I have read of the similar Wild Arum that a single berry could kill a child but there have been no fatalities that I am aware of. Once in the mouth it is very hard to swallow, it immediately hurts. Having said that wild arum is one of the biggest causes of plant poisoning recorded at A and E departments. 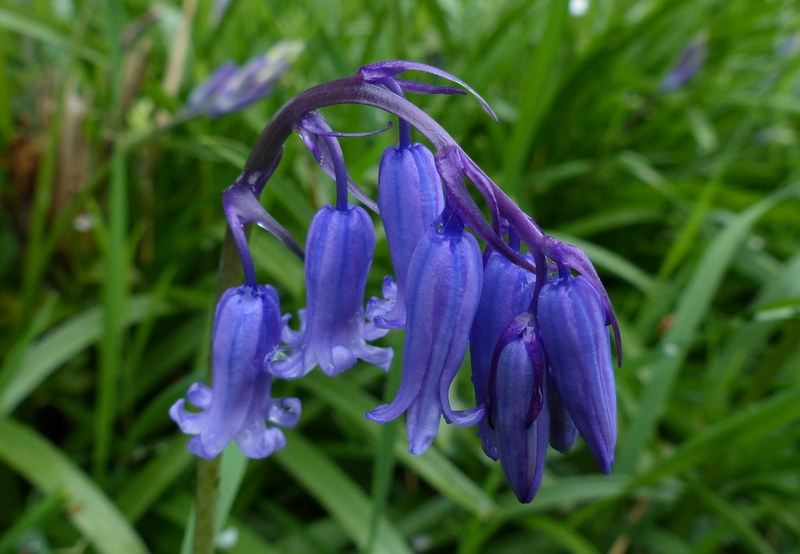 Plants can be very dangerous and whilst everybody knows that mushrooms can kill you, I think that there is very little awareness of just how dangerous flowers can be. I see, so at least there is some warning from the blistering pain. What happened to the fingers touching the stem and berries? Or do they only blister if the stem is broken? Thanks Karen 🙂 I think that it is your own skin that has to be broken to feel any ill effect. In this case it was a very dry old stem. Strangely though (and I do not recommend this) I have had some of my very best butterfly encounters after handling the similar wild arum. Wild arum emits a scent to attract insects and I think that it works in the opposite way to an insect repellent. Don’t try this though it is just a theory that I am playing with. 🙂 The worst fruit that I know of is the chilli that I use in my kitchen. I love it but I am constantly burning my eyes after handling it. Interesting! I was thinking it was similar to our poison ivy which just requires a bit of sap to cause major rashes and blisters. A most informative and useful essay. I will duck into town tomorrow and purchase some empty pie casings . Could you ship a quarter pond of berries, C.O.D to Tony Abbott PM Australia. Now I am confused! I thought it was the saponins in soapwort that gave you a ‘soap’. Have I got this wrong?